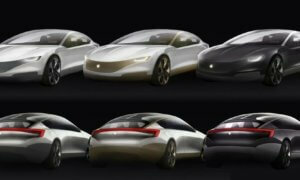 Want a glimpse of a future with zero-emission electric vehicle deliveries? Say no more! You can now explore this possibility thanks to Tesla’s newly released video. Illustrating the very first delivery of a vehicle to a customer using a Tesla Semi-electric truck prototype, the video comes as a fresh breath of air for those of us who imagine a better future, one with zero-emission deliveries from vehicles. 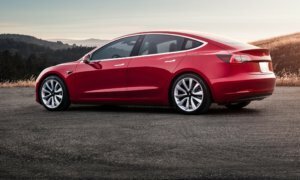 In the last few quarters, Model 3 production has been sustainable at high volume, therefore the company was challenged to deliver a high number of vehicles. 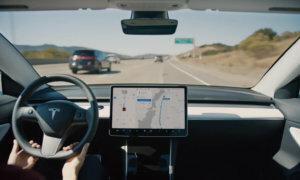 Due to that, Tesla started to build its own car carriers and even bought car hauling trucks and trailers, worth $13 million. In March, the company released a few images illustrating their semi electric truck prototypes that were being used to carry Tesla vehicles to their customers. Whether the trucks were supposed to move vehicles to distribution centers or deliver them to users wasn’t clear. Tesla did say that, when it comes to electric trucks, they would be their own customers in order to minimize logistics costs, so the initiative is pretty promising.